Fifteen episodes down and ten to go. We are now past the midpoint of the “Nandito Ako” miniseries. We’ve seen David stretch and grow right before our eyes as he takes on new challenges way out of his comfort zone in his newest endeavor. The man’s got acting chops; he’s a natural down to his comedic timing. Who woulda thought? *Raises hand* Me! With an expressive face like his and a deep, introspective nature, he has all the attributes necessary to succeed in acting. The story seems appropriate for someone like David who is family-oriented. It revolves around three main characters who come together from different backgrounds. Anya is raised by a loving single parent but lives an impoverished life. Holly, on the other hand, has all the riches anyone could want except that of her mother’s love. Josh has a successful career but is haunted by the memory of a fire where he allegedly lost his Mother. And three are caught in a love triangle that has me hooked. I wonder if Aladdin will be the one to put the pieces of the puzzle together since he saw Josh’s watch strap? LOL! All the things you’ve seen so far are nothing compared to the ultimate Romantic Bradley in action. 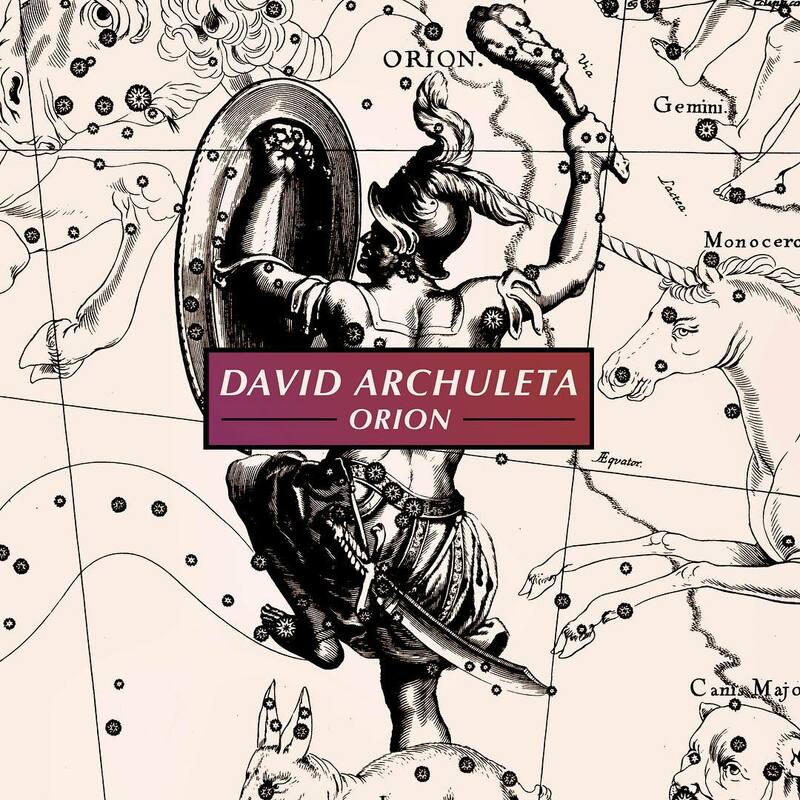 This entry was posted on Friday, March 9, 2012 at 6:42 PM	and is filed under David Archuleta, miniseries, Nandito Ako. 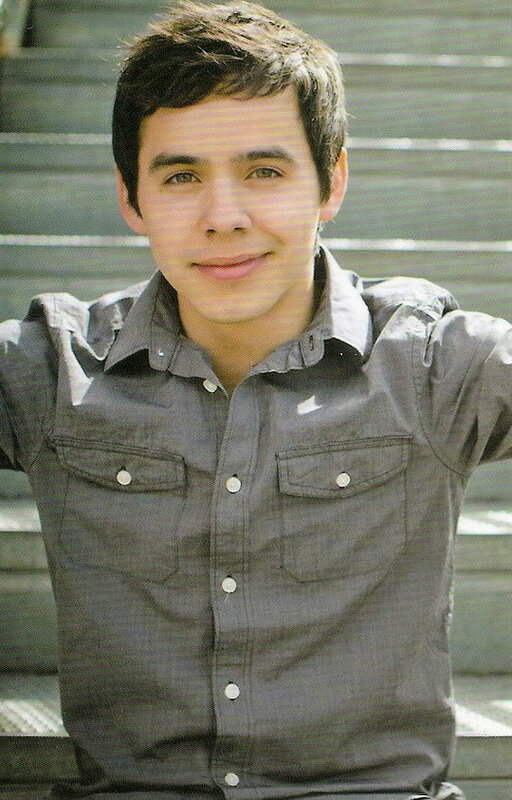 Tagged: David Archuleta, Josh Bradley, Josh is almost as irresistible as David, Nandito Ako, the man's got acting chops. You can follow any responses to this entry through the RSS 2.0 feed. You can leave a response, or trackback from your own site. 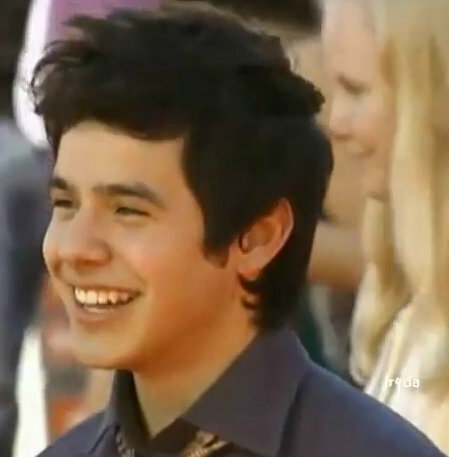 Like you Bebe, I’m really enjoying the series and have seen growth in David in his role as Josh. Of course everyone fell in love with him there. Looking forward to the renion with Mom and Anya and Josh realizing they escaped that fire together. Preview makes it sound like Anya is discovering it when Josh’s Mom is talking to him while he is recovering from the Paddle hit!! Loving Forevermore and looking forward to the Album and more new music. David has left us with so much and periodic updates will help from him or whoever he assigns. P.S. Love the picture of Josh running to save Anya!! David and the other cast member have done a great job of getting us all involved with their characters, and that’s what makes a great series … when viewers start to care the characters and how it works out for them. They have succeeded in doing that for me. I can’t wait to see it all! But at the same time, like you, I don’t want it to end!! I would like to add to Shawna’s comment from the end of the previous article. We have all been thinking about our own ways of looking at David’s leaving and it is not forever so that’s good to start with. We have two ways to personally prepare for it and one is to expect to be terribly saddened and the other is to celebrate our own lives, our families big or small, our music friends that we have now in our lives and the position we are in to give our love and time to those who would really appreciate it. After being here with influenza for the past two weeks, I realize more and more that we have little time to feel sad like we could. We may be preparing to be very sad but there is so much more that could happen In this life to make us feel the grief we are anticipating. It has been depressing since December and now it is March, three months later and it has been bad enough already. So, in going one way or the other, it is 2 years or more of our lives. We can laugh and love or be sad and lose precious time. I can understand the feelings of parents of those who leave. This is very personal to the family unit. I know only too well how David’s music and the frequent communications with him made the world a happier place but maybe we can just take that role over from him while he is away. So many concerns that he has had over the last few years may well be thought out during his time away and quiet reflection will give him peace. eep! I love that picture of Josh to the rescue of his damsel in distress♥ so gallant! Yes! There is so much going on with each of the characters now.I feel like I have picked up a good romance novel! I like seeing each character’s “reasons” for being the way they are,unfold… spawned from a difficult /tragic event in their lives, that they have not been able to let go of, or find a way out of, and how it effects negatively, or positively the lives of those that surround them. Bebe, agreed that he has all the attributes necessary to succeed in acting! He has proved he can succeed in anything that he wants. So talented! My Dear Writer…”the ultimate Romantic Bradley in action…? Whoa! Epic??? Can’t wait! Also to see him see his mom finally. The next 2 weeks are going to be sooo wow! The lead picture just came up finally on my iPhone…it is exceptional! I have loved watching David grow in his acting! We have seen the serious, playful, romantic & even physical side of him (picking up Holly & Anya), etc.!! 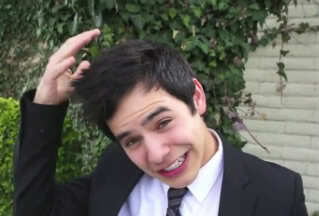 Even David’s facial expressions are amazing! Can’t believe there are only 10 episodes left!! Hope a dvd with English subtitles comes out so we can watch the whole thing at once instead of on a daily basis with different parts! Who would have thought we would all become so engrossed in a Philippine soap opera?!?! 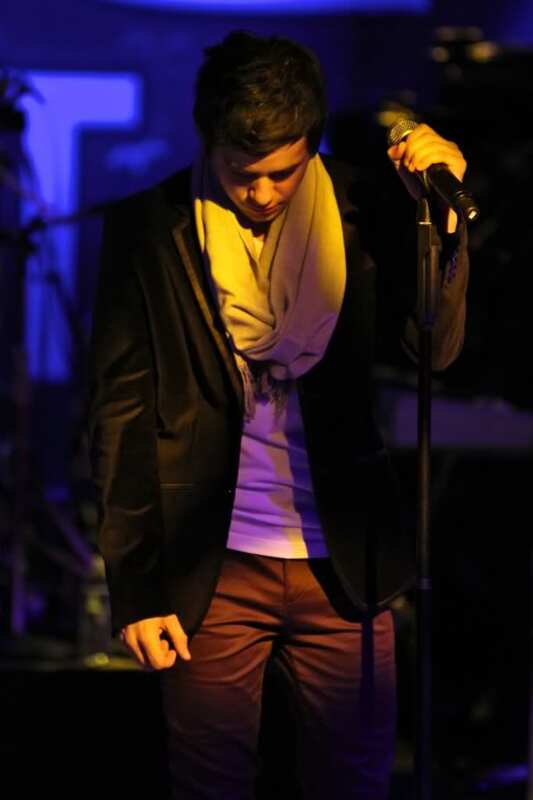 He has cancelled his first US tour in 2 years,due to the return of granuloma, in his throat. He is taking an indefinite hiatus. It sure has made it a happier place. I hope and am very optimistic that David’s fans will unite and take the baton from him while he’s away, do things to support and promote him, continue to trend him regularly so that the world knows that his fans aren’t going anywhere and to make sure that David’s name will be on everyone’s radar. Sky, I’m hooked, completely hooked. David continues to amaze me. Bebe, this acting gig has taken us on an incredible journey. To be at the half way mark and see David’s acting build on itself with each episode confirms what everyone who works with him say, “David is a genius”. Here is a compilation of the beach scenes and the confrontation with Uncle Steve. David’s performances are award winning material IMO. Ok, so let’s get the most important thing out of the way first…Squeeeeeeeee! That top pic is all kinds of wonderful! Next, I have to agree with everyone else that David really has improved so much in the acting department, with today being his best by far. The stuff he was saying and the way he said it was all Josh. SB, I loved this: “I know only too well how David’s music and the frequent communications with him made the world a happier place but maybe we can just take that role over from him while he is away.” Let’s hope so! DVD with English subtitles, please! 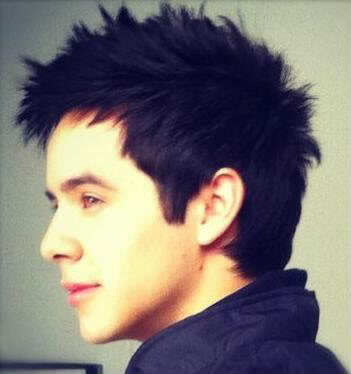 Bebe: “Josh is as almost as irresistible as David Archuleta. Almost.” Agree! 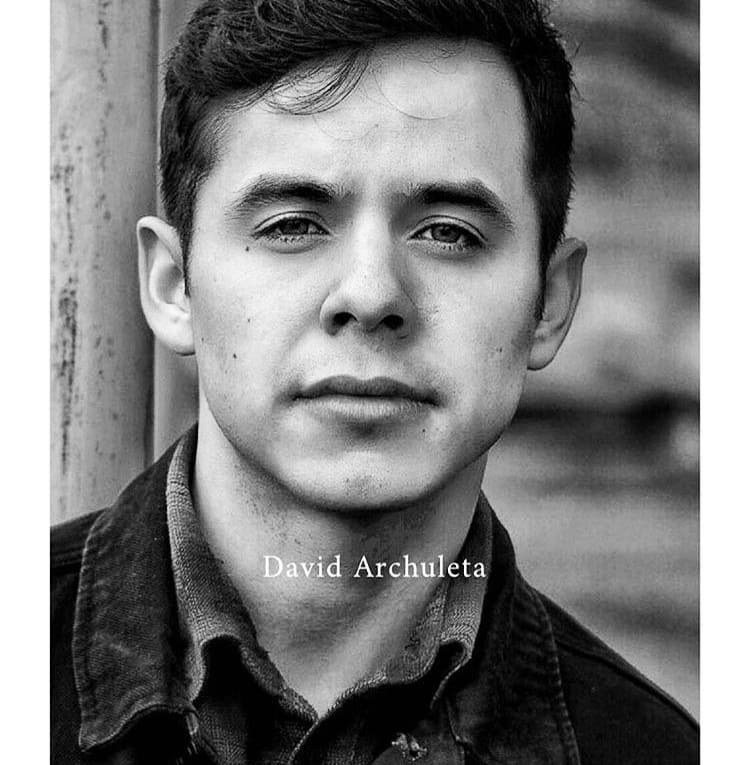 PS…I just had to add that I love the peaceful expression on David’s face on the cover art for Forevermore. It looks like a man who is happy with his life. Bebe! Yes, I think this series is certainly doing its job so far, causing the viewers to feel for the characters and become engrossed in trying to predict the outcome! I never imagined following a soap opera series, let alone having David star in it. We knew how he transforms during a live performance from the shy, quiet spoken person to the ‘where-did-that-come-from’ rock-star like swagger & vocal magic that makes us all swoon. MKOC was certainly evidence of that but to show that vulnerability through acting in a vehicle that is a love triangle story is just well, who would of ever thought? Letting go any reservations, fully showing different emotions and feeling free to try new things without harsh judgement has shown a multifaceted part of David that could only expand his creativity in not only in singing but writing music, acting, interviewing, modeling and whatever endeavor he tries. He is like what they say about fine wines … gets better over time and I can’t even phantom what that’ll be like! And even through all of this dramatic acting, he is still ‘just David’, the same core of what makes David tick. All of us have likely experienced some changes in who we are over our lifetime and no doubt he will be changing in some ways but the sense of who David is that I felt when reading his Chords of Strength will unlikely change and I’m so glad he is exactly who he is. SB; Hope you’re all recovered from the nasty flu! Certainly wish for David that his mission will be an enriching personal experience. During his absence, time w/ family, friends, significant others will be important but reminders of David will never be far away. I’ll not look at a pair of sunglasses or a plaid shirt or a scarf or for that matter, hair care products in the same light! I’ll try new foods (but sorry no balut for me, lol), won’t mind those dental appointments as much, appreciate music even more and fondly relive MKOC, my first David tour experience. I’ll continue to support charities, find ways to keep David’s name and music in the public light, cherish the wonderful friendships made, and try to be more like Jesus … all because of how this extraordinary human being has touched my heart. I will be working the anticipated day he leaves … better to keep busy I guess but I suspect the emotions will get to me and I’ll need to channel those feelings into giving back a little extra to those I’ll be helping at work that day. I suspect David would want us to live our lives like any usual day and I’ll do my darndest to make each day count. David may be gone but will not be forgotten and I’ll thank all of you in advance for helping me to make that time go by faster. Shawna! Hope all goes well with your surgery … you’ll be in my prayers! Kaycee! #12 … “It looks like a man who is happy with his life.” This is so true and that is what counts the most … his happiness! Blueberry Ice, number 13, love what you said! Wish I could express myself that well but that is EXACTLY what I would have said!!!! This is going to be so hard (saying goodbye to David) but we’ll get through it together! Maybe we could have fan get togethers sometime?? Wow, I love that action shot of Josh/David at the top of the page. He is just so beautiful in every way! I agree with everyone who said that yesterdays episode showed how David has really improved on his acting. He just blew me away. I also have watched that one over and over. It’s so different seeing him without a continual smile on his face, so in character. I can imagine where he is going with getting those emotions going. I think he just imagines being without his mom, or someone treating her badly and I can see him getting upset and protective of her, can’t you? Kaycee, I love the album picture too and I agree it looks like a man who is very content with the decisions and choices he has made in his life. SB, Hope that flu bug leaves you soon and you are on the mend. Shawna, my prayers will be with you that your surgery will be successful. Angelica, *waves* Nice to see you. Don’t work too hard. Hope everyone has a great weekend. I’m off to spend some quality time with family and celebrate a sisters birthday. Blueberry Ice I agree with everything you said. I am sad David is leaving, but at the same time I am happy for him. I hope the next two years go by fast. Yes! Yes! Yes Blueberry Ice! I will be here too! Whatever it takes to keep his name out there! I’m not the best at choosing what we should do, but I will follow the lead of those “movers and shakers” that motivate! My jaw has dropped to the ground many times over the last few episodes of Nandito Ako! This is one drama-filled Soap! I still watch Young and the Restless faithfully. It is not nearly as exciting as Josh Bradley looking for his mom and all the drama surrounding his journey. PLEASE let there be a DVD. It may be that we can only purchase it from the Philippines. Could be real expensive. I’ve started a change jug. Tossed in a few ones here and there too! Blueberryice, yes to every single thing you said!!!! I’ve watched episode 15 with subtitles at least a dozen times. I can’t thank JR enough for her labor of love. David has made me believe in Josh. Only truly gifted actors can do that. Dja – agree. If you feel strongly about this please tweet TV5 or its VP Perci Intalan (@percinotpercy) to urge them to submit David’s name for Best Actor in a Leading Role, Asian Television Awards. The organizers are now calling for entries. “Only programmes that have been broadcast or cablecast for the first time during the period from July 1, 2011 through May 31, 2012 are eligible for submission. Even if he doesn’t win it would create a lot of buzz especially in the Asian press as he would be the first American actor to be in the competition. I was thinking back to Davids MKOC tour this morning, and how David walked out on that stage at the 1st show in Westbury,and blew us all away with this amazing “new” David!! Then came all the shows that followed on that tour, and with each performance he would get better and better.The subtle, and not so subtle changes that he makes, and the level of comfort he finds with a few more shows under the belt along the way is one of the reason we have so many videos to savor,catching so many little nuances, that only we would notice because we watch every little thing he does! Heck, every tour he has ever done, we have seen that happen. He always exceeds our expectations of what is possible, and he has proved time and time again, that he can do just that! Thanks friends for the great comments. And thanks dja for finding that great action shot up top. 🙂 I love how the camera caught the exact moment Josh realized that Anya needed him. He threw off his backpack and ran! Our hero! Been busy with family and haven’t been online in at least 12 hours. That’s not like me at all but I’m trying to manage my time better. It’s all about balance. I sure do, but he was always our hero. haha, MT I just love seeing it in action now. SB, Hope you’re feeling better today. Thanks for the reflections. I can only speak for myself but I hope to use the time David is away, wisely and productively. I have spent so much of my time invested in David that I almost forgot that there are other things that matter (maybe not as much fun lol) but I know that I have been neglecting other areas of my life and hope I can learn to use my time to the fullest, using David as an example. Shawna, Good luck on your upcoming surgery. I always enjoy your comments. Sweetonda, "It’s so different seeing him without a continual smile on his face, so in character." Fenfan, Thanks for the info on submitting David's name for the Asian Television Awards!!!! Sky, "Yesterday was crazy good. and like the wait for that next performance on a tour, I can’t wait for the next episode of this miniseries! :)"
“I wonder if Aladdin will be the one to put the pieces of the puzzle together since he saw Josh’s watch strap?” Aladdin! Detective in the making! I like that. Time and attention: the only two things in the world that we really own and have to offer to others. So true. When we give our time and attention we are giving of ourselves. I think that’s one of the things that makes David so special to us all, Time and attention, two things he gives to the fans so generously. In his tweets and vlogs he addresses us as a collective, while at the same time realizing that we are many indiviuals who love him and worry about him. He appreciates our time and attention and he shows his gratitude by giving it in return. Oh, and I’ve been watchng Friday’s episode of NA again. That beach scene… sooo good. And I NEVER thought I’d see the day when David would appear so enraged as when he is defending his mom against evil Uncle Steve. That part of the trailer just takes my breath away and almost makes me cry, he seems so upset! He is REALLY coming out of his shell. His acting skills seem to be growing fast and we are only mid-way! I can’t imagine how good he’ll be by the end if he keeps improving at this rate. Ok, this seriously gave me heart palpitations!!!! Shoot at a waterpark? Where you can scuba dive, snorkel and swim with sharksssss!!!!!! 25. Dja, hahahaha! swimmmmmm Joshhhhhh!!!! Swiimmmmmm!!!!! I cannot stop rewatching the video at #10!.It has taken me 3 hours to finish cooking tonite’s dinner. I love that Josh found his angry place.good to let off a little steam now and then,heh? That tagalog rolled right off his tongue like he has been speaking it all his life! what the hey?amazing David. and coming up…that voice when he yells at Uncle Stevil ! …ooohh! bet that felt good. “That tagalog rolled right off his tongue like he has been speaking it all his life!” << It really does, doesn't it? How does he do that? I was so impressed with the whole beach scene. Love when he tells her "You're fallilng for me and you can't accept it." And then he follows it up with a cocky "Am I right? HUH?" No wonder she slapped him! Had an interesting conversation with a man from WAKY, a local radio station in Louisille, KY, where I live. He called looking for the person in charge of buying advertising for the Retirement Home where I work. She wasn’t available, so he started talking to me. He asked if I listened to his station. I told him I don’t listen to radio anymore because they don’t play what I like. 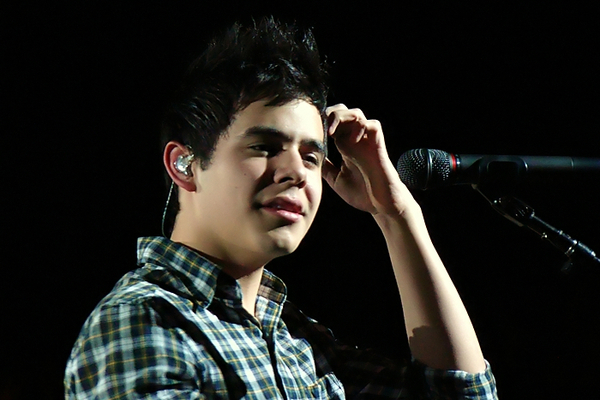 He asked what I like and I said David Archuleta. He said, he’s really good. I then proceeded to tell him about the mini-series, the OPM album coming out, the mission, the new music he’s recording here, and everything else I could think of. I told him I hated the contemporary music and that I thought they had ruined the music industry with most of it. He agreed. They play music of the 60’s, 70’s, and 80’s. I had to go answer another line and he said he really enjoyed talking to me. He said he would call again. I guess they won’t play David’s music, but at least he got an earful of what’s going on with David. Never know where it will lead. There are times when his acting is so intense and believable it’s unbelievable. Just came from unplugged and had a blast!! but time has sprung forward so have to call it a night. So sorry you have had influenza. Not a fun experience at all, nothing like a mere cold. Hope you are feeling much better. I think you and Blueberry Ice and Bebe are right. We need to make this time while he is away productive and meaningful, personally and collectively. Shawna, hope all goes well with your surgery and recovery. Keep us posted when you can. Shawna and Abrra, I’m wishing you both good health and quick recoveries! Boy, what I’ve missed this week! That entire bus “you’re lookin’ at me” scene, to the beach “you’re falling in love with me and you can’t accept it, am I right, huh” scene, to the fight – he actually looks like he’s been-there-done-that scene…..pinching cheeks to being pretty darn cheeky. 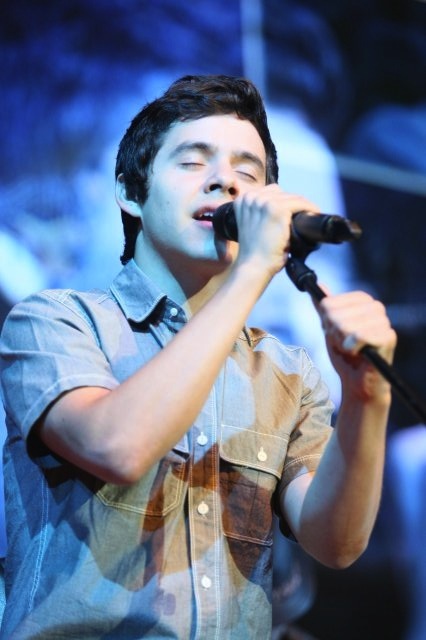 Not to mention the beautiful Forevermore, that voice, that voice. This album is going to be sublime. Xaris, likin’ the “gunslinger walk” myself, lol! dja, Billie Jean..are you serious. Hope you guys are feeling better real soon! Angelofda YAAYYY for the Michigan article!! If you haven’t yet joined us on Saturday nights in The Voice Unplugged you’re missing out. Abrra has David’s videos playing 24/7 and even if you think you’ve seen them all, there’s always something new. JR joined us for the fun last night! Come back soon, JR.We had a blast! Loved your story and I agree with you about spreading the word about David. You never know how far it can reach. Cool article and mention of David and TOSOD in the article in The Michigan Daily, although I really did like the first single, “Something ‘Bout Love”. I tried posting this once, but it never showed. Hope it doesn’t post twice. This performance is so much fun. So everything GOOD. Ahh Thanks for ending my day with a smile. YEDL has always been one of my favs and that particular performance was just tooo good. He looks really good in that checked shirt and tie and his smile/laugh when the audience is trying to whistle is too cute. And I love the way he laughs after he whistles. 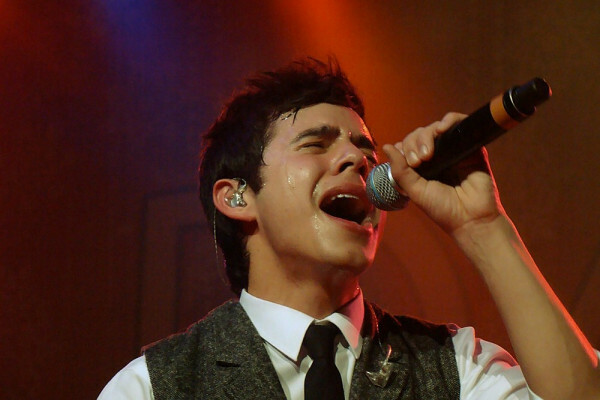 Everything about it … it’s such a fun to watch him sing it. Tomorrow starts another week of Nandito Ako!! He sure has been surprising me a lot during this show. I can’t wait to see what he does next! Love that video….that personality, that charm and especially that voice! Man is he going to be missed. I hope that he has a plan to keep things going while he is away. Want buzz to continue throughout the two years, so alot of interest will be created for his comeback. I was with David, since February 2008. I will be waiting for news from April 2012 to March 2014. And I’ll be on your first recital at the back of your mission. Also include #followdavidarchie and don’t forget that with the time change Nandito Ako will be on at 9:00am ET and 6:00am PCT! Thanks Betsy for #40! I think we need these gorgeous videos to help us through the next couple years. Looking forward to NA today!!! Lots of unhappy fans this morning. We waited all weekend for Monday’s episode and it did not arrive. Dang it! Made me grumpy. Will have to go find me some David to make me smile. Bebe I would like to second your invitation at #39 to join us in chat at The Voice Unplugged on Saturday nights. We always have a good time. A lot of fun people show up and Abrra has the best videos ever made. When it comes to DA, we can be as single-minded as Josh Bradley. Thank you for the livestream from our Philipino friends. TV5 had a black screen throughout. I hope they have the recording later. I’ve finally regained my composure…Josh and mom reunion was so good. Shout To The Lord! Season 7 best season ever! Dja, where did you go that it was able to be seen? do you have a link? we may need it tomorrow. Got to get work! Here’s today’s episode!!!!!!! Hey guys, in the future sign in to archuletaphilippines.com when Nandito Ako is on. They not only do the translation live, but this morning there were TWO links to TWO separate livestreams from people who were livestreaming from a camera pointed at their TV. So, while it wasn’t the best quality for watching NA, you could still watch. Heya guys, even thought the Hayag livestream wasn’t working, the Hayag archives are. You can go back up to 10 hours everyday. Just click on Kapitad on the upper left hand corner and correct choose the hour slot that appears on the bottom. Thank you so much for helping us find Josh. It was quite a treasure hunt this morning, but with such helpful fans I was able to see Nandito even while at work. Thank you, thank you! No more grumpy Monday for me. Thank you so much Janey! ♥ that one worked for me!! YEA!! my co-workers ask: why are you crying?. As I can explain to them, David is crying, Cara is crying and Anya, also, is crying. I thank God, my boss is not at this time. David tweets!!!! Love that he see’s us trending him. What an episode today and here is the preview for tomorrows episode. Who is Saving Josh Bradley @gtongi did! What an emotional scene between mother and son! Nandito Ako Week 4 Is Intense! awww look at him. Guess its good I don’t live in Utah, I would be looking for him everywhere♥thanks dja. I keep replaying today’s episode again and again.I feel like a fish flopping around on a hook. I can hardly wait until the next episode comes on every day. How the heck did we ever manage, to wait a whole week at a time to see David,during season 7?? Their tears, my tears, gosh. Thank goodness I couldn’t understand the words. Gladys, the husky voice, uh huh. dja, oh, that Shout To The Lord. I had heard a version of that before but not with David’s voice as prominent, they had his voice more muted. LOVE this! Oh I would love to hear David sing the entire song. Those few bits…gah! where can i go to watch all the episodes i missed the first on and, well all of them because i don’t get the channel. And oh my goodness, did you get a good look at his eyes at the end of the preview? Is he about to break someones heart? Here are two links. These have clearer video than most and are subtitled. The second link has parts of 11, 12, & 13 plus 14&15 so far. Each new one is ususally uploaded with subtitles a day after the airing. Click the link then look at the bottom of the page for all the videos and choose the one you want to watch, starting with episode one. For anyone else who hasn’t seen these with subtitles, you shoudl go watch. Thanks again, JR! DJAFan I’ve never seen that BTS vid of Shout to the Lord. Just loved it. Amazing how young David looked and how competent he was. Loved the expressions on other’s faceswhen he sang. BTW I’ve never watched soaps in my life but NA has me totally gaga. My heart pounds during these scenes. 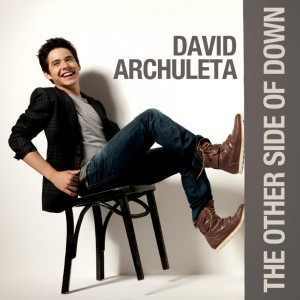 David is leagues beyond what I expected but why should I EVER be surprised at his talents and abilities. How I wish he could begin to work on acting here, but it will have to wait. I hope he loved it enough to come back to it. Here’s an mp3 of video in #51 Glorious music by some of the best singers ever to stand on the AI stage. Catching up on the SOAP. 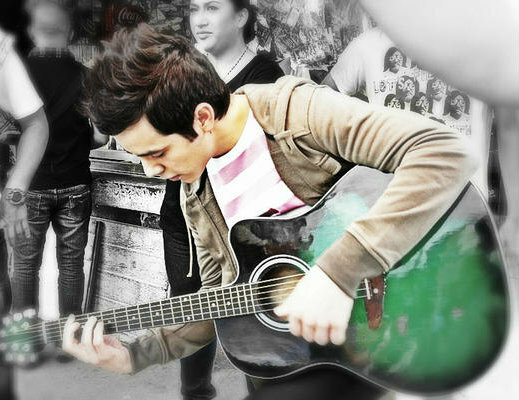 His best performances have been at the Batangas! I was able to watch on Ustream app on my phone today, as I wasn’t near a pc. JOY! I lost it when she gave him the stack of gifts! GAH! Gladys, LOL husky voice for sure. Not to mention the heavy breathing 😉 OY VEY! I missed seeing everyone in Unplugged on Saturday. Its a nice way to catch up with friends in real time. We missed you in chat. Glad to hear you’re feeling all better! A friend sent me this and I want to share it. influences the life of a child..
Glad your back to your “normal” self again Abs and hopefully feeling fit as a fiddle. Thanks for the poem, it’s a keeper. And you have scary powers. I was going to wait a few days until you were feeling better and ask for that mp3….gracias and a grande hug. the screen; he made me believe he was a young man who thought he lost his mother only to find her again fifteen years later. Heart wrenching story! The tears really started when the mother took out and gave him all the birthday gifts. Haha I guess that got to everyone. And Anya missed seeing the watchband by seconds. Nice to see a real smile on her face, finally. Shout To The Lord video was outstanding. Ahh memories of Season 7. David had five or six solos in that song. I know because I can’t stop playing it. Here’s one with just David’s solos. “Shout to the Lord”…no words. Absolutely breathtaking. 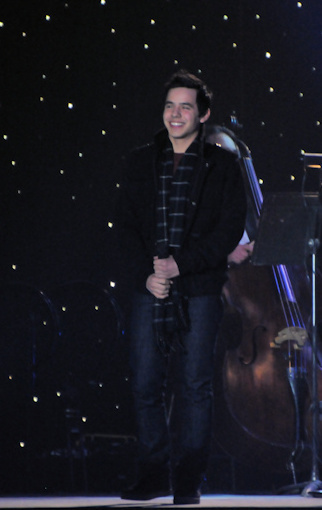 I can’t help but be reminded of the words of Michael Orland: “David Archuleta came to American Idol as a genius and he left as one.“ He effortlessly proves over and over again that he truly is a musical genius. And what a moving episode today…the touching reunion between mother and son. And, I loved the blossoming chemistry between Anya and David…so great to see her beautiful smile and that tenderness beginning to show. It was like a blinding toothpaste commercial between the two of them! 72, Abrra: loved the beautiful sentiment…and the picture. Glad you’re feeling better. Dayzee, I just missed you on Unplugged the other night. You were getting off when I was getting on. I sent you a text, did you get it? Abrra, happy that you’re feeling better and back here with us. Oh Bebe, you know us so well!!! Of course we want that version of only David. Haha. Get rid of all that extraneous stuff. We can listen to other singers on a one-time thru thing, but when we get to the constant replay we need just David. Sorry I missed you Jan. Will catch up with the texting. Daylight Savings Time has messed up my morning with David. Cannot access TV5 at work, but was able to get the link Djafan gave us. TY. Missed you Abrra. Good to see your smiling self is back. love that “WHEN YOU THOUGHT I WASN’T LOOKING.” so true. recently I placed my order the cd, forevermore. was easy and I accept my credit card, visa. Dang it! I just knew CDWOW would do this right after I ordered my copy of Forevermore. Why didn’t I wait one more week? Loved today’s episode! Such a sweet reunion between mom and Josh. All the years of birthday presents she saved and gave him and yeah, the hoarseness. He did a good job of sounding froggy or was he really hoarse? But later he wasn’t so…he is so good. JR has archived all of the episodes of NA with English sub-titles on the following pages (along with gorgeous photos!) Happy viewing! Angelica, I’m thinking they wanted him to sound that way, so they probably shot that scene first thing in the morning while he still had he “morning voice”. Welcome to The Voice Cassondra! Abrra!!!!!!! So glad to see you and that you’re feeling better XOX’s! David’s tweets to let us know he’s recording. Time to get back into recording tonight. Calling it a night for tonight’s recording. More tomorrow. Got to get to bed!!! Josh and mom with subtitles! Thanks for the well wishes and warm welcome back 🙂 I miss this site when I am away. You made a ton of fans happy with the news of WOWHD ( this is formerly CDWOW). OMGosh! You did a beautiful job on your tribute. If I can get permission from the fans who come to Unplugged, I will use it there for sure. Some are not ready to see him make his announcement, so I respect their wishes. You did a fantastic job on everything! Howz ’bout a bit of picspam? Naree was uploading pics to twitter last night. I would love to share them. That .gif was taken from episode 17 trailer. Looks to be an angst filled time in paradise. And in the real world Jasmine says she felt sparks fly! Well, let me try to be more like David…….. hmmmm,,,, dogs Do like bunnies……………. a lot. Who is…In Love With Josh Bradley | Nandito Ako From TV5 Manila. We spent 2 days filming here. Good times! Yay for CD Wow! Finally ordered Forevermore! Happy news that David is doing some recording today! He is such a giver! Now, moving from his screen Mom to his real Mom…I wonder how Lupe is feeling as the time draws near for David to leave. I’ll bet she is cherishing every minute. #88 Abrra huh??? what tribute??? If you mean the one in #87 that’s not mine. Wish I had such skills but unfortunately no, even though I did work in a video environment for a long time! LOL. Loved tonight’s episode. Those puppy dog eyes!!!! OMJosh!!! 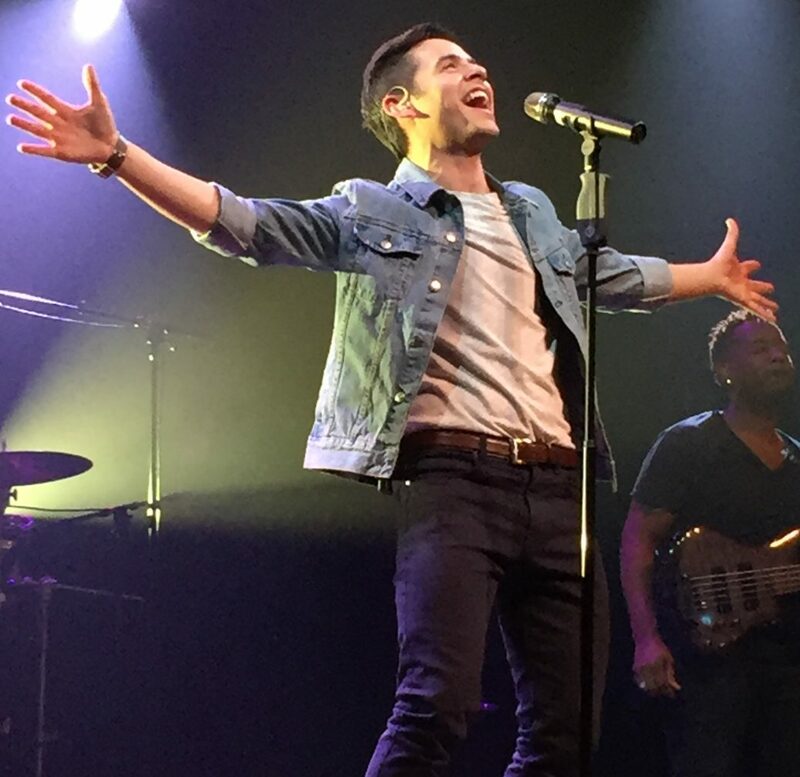 David Archuleta – please go now so you can come back sooner!!! You are killing me!!! Sorry Fenfan I am a bit addled. Apologies 🙂 I got confused. I fixed the name. All my words in #88 now go to Pocoelsy! abrra, speaking of addled….that picspam you posted up there had me crawling under my computer desk to retrieve my socks. I loved today’s episode. Josh feeling those feelings; his Mother helping him sort through them, the two girls together with Josh on the island, forming the love triangle. Good storytelling! Shame on me. lol But, I couldn’t resist. Forevermore is #1 at WOW HD IN 1 DAY!!!!!!!!! Glad you’re feeling better Abrra! You deserve every one of those flowers. I am so very glad that you are feeling better! I found the ‘Jealous’ Scene with English subtitles on Twitter. I love this collage♥ still LOVE that AI audition picture so much.Guess its because I remember thinking “he is just the cutest boy ever!”, and of course that beautiful smile, and then he sang, holy cow!and life has never been the same since. For teen actress Eula Caballero, working alongside an international star like David Archuleta was a “tremendous experience and honor.” But to be appreciated by “Archie’s” fans around the world is something the petite Cebuana beauty still can’t quite digest. “It’s overwhelming. I’ve been getting fan messages on Twitter from Vietnam, Malaysia, Indonesia, Singapore, and even the US and Canada! I can’t believe it,” the star of “Nandito Ako” excitedly told the Inquirer in a recent press conference held at Baguio Country Club in the City of Pines. 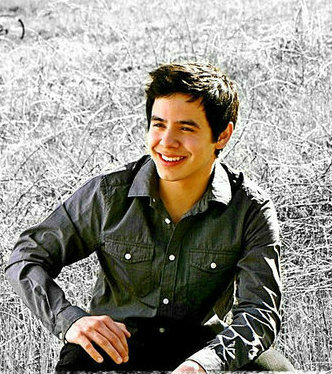 Eula said she was touched after learning that there are a couple of David Archuleta fan clubs that painstakingly upload episodes of “Nandito Ako” with English subtitles on video-sharing sites. The effort allows fans from foreign countries to follow the mini drama series, and get acquainted with Eula and the rest of the local cast. She also said that there are no big or small roles. She stressed that it’s all up to the actress to make the most out of every role given. This appeal is for all the beautiful people doing the translations. We, Latinos, most understand English or try to understand. But it is very difficult to understand when the characters speak English. The translations are a blessing, I can read the English language, then it is easier for us to find the words that do not understand, and seek their meaning. When the actors SPEAK English and speak very fast or angry or yell or cry, we can not understand what they say. I would ask the translators, you could transcribe the dialogues in English, too?? I know a lot of work. And please forgive my boldness. Long ago I’m thinking about this. Forevermore is now available on Amazon for preorder!!!!! 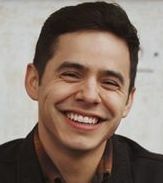 American fans anxious to get their hands on the new album David Archuleta is releasing this month will apparently have plenty of options. 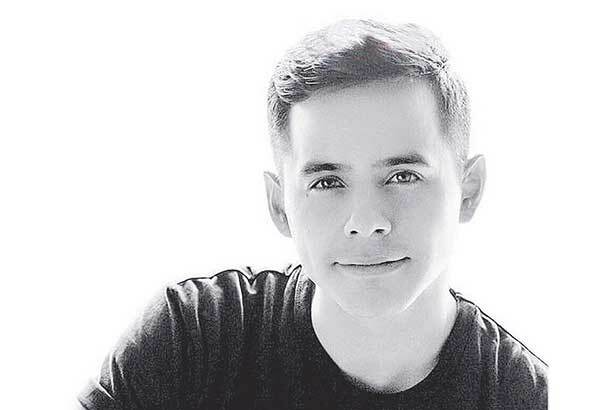 David is releasing “Forevermore,” an album of original Filipino love songs this month. A track list was recently announced, as well as pre-orders of the albums, from the Philippines. Well, amazon.com has also started taking pre-orders, indicating the album will be available on March 27. 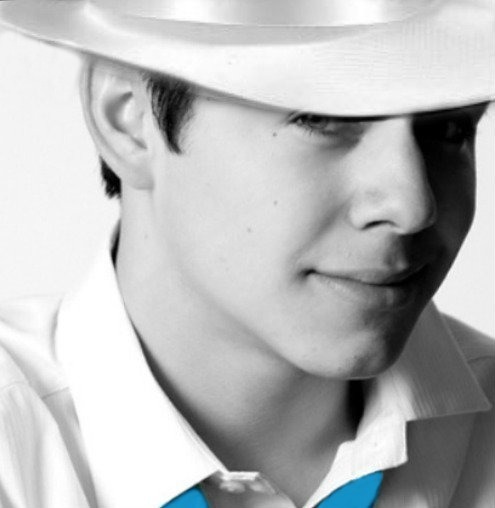 And the Absolute Archies website is reporting that wowhd.us is also offering pre-orders of the album with free shipping, indicating a March 19 release date. 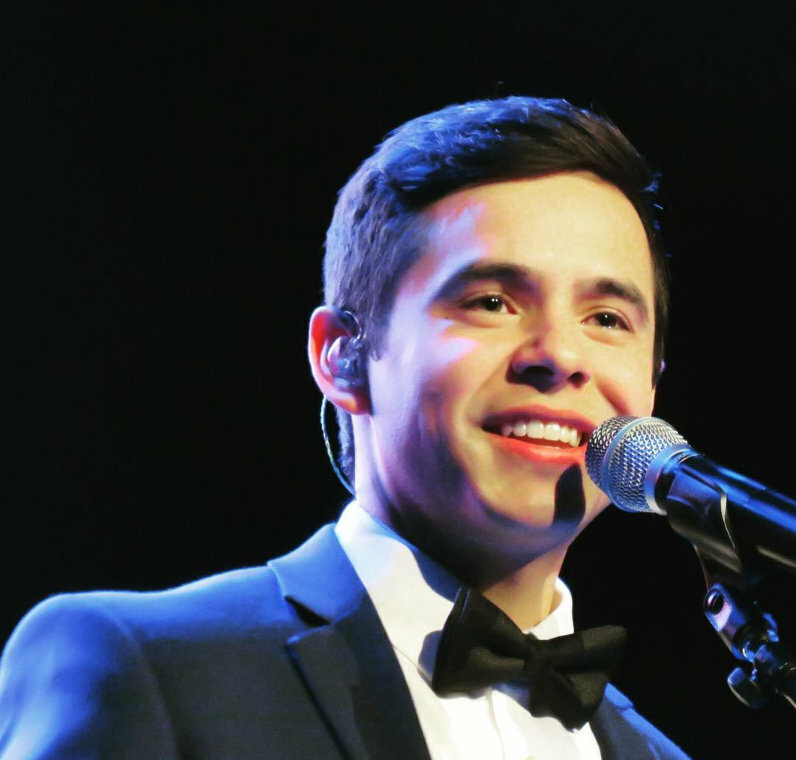 The album is one of two David has promised to finish before leaving on a two-year mission with the Church of Jesus Christ of Latter-day Saints. The other will be a U.S. cover album that he’s recording now but will likely be released after he departs. Abrra, Gladys would like the English parts subtitled. thanks Dja. Love the options opening up to fans. Sure would love to see this album sell like HOTCAKES! Also, the music David is preparing for us to be released here in the US too. Nice to have Amazon on board. I feel all mushy tonite after rewatching today’s episode. I am so in awe of David’s acting, in these scenes, its just crazy! I can’t get enough, thats all. eeeek!! !He is so expressive…. his face, those eyes! So glad CDNow and Amazon are selling “Forevermore”. Thanks for the info, dja. Working on more music, and recording again tonight. @kariontour do you know if David will get the chance to read some of the letters before he leaves? @archanimal92 YES! Starting this week. Cassondra, Welcome to The Voice! 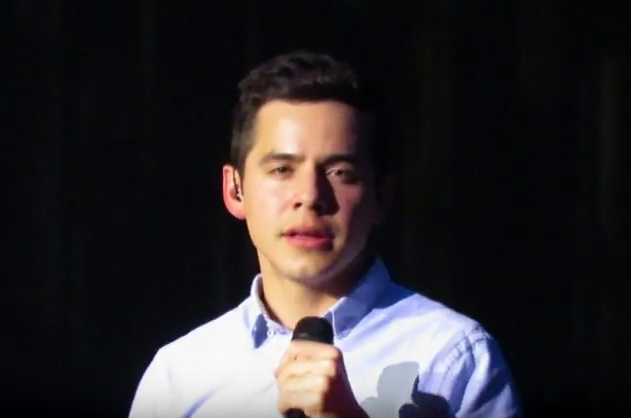 David’s expressions speak volumes lol He is sooooooooo good! 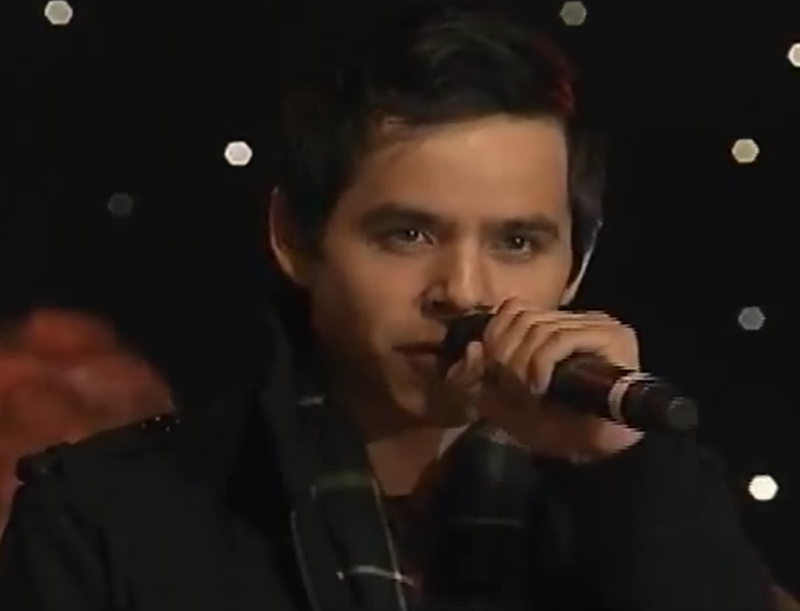 Josh Bradley Is In Love | David Archuleta in TV5 Manila | Nandito Ako Week 4 Is Emotional! Karin aka zerogravity is a hoot. She’s made the entertainment news in Manila. Watch. my English is so poor that need interpretation. I just hope you can understand me. 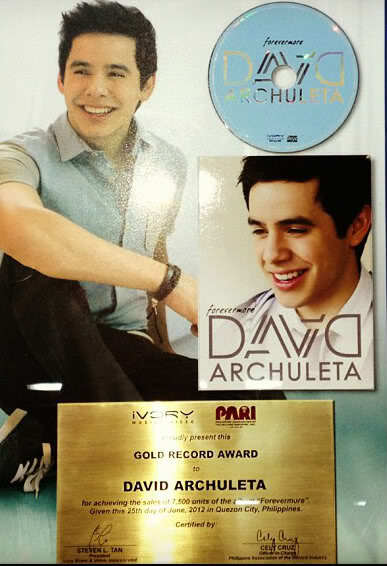 Lets support David and Pre-order Forevermore on Amazon!